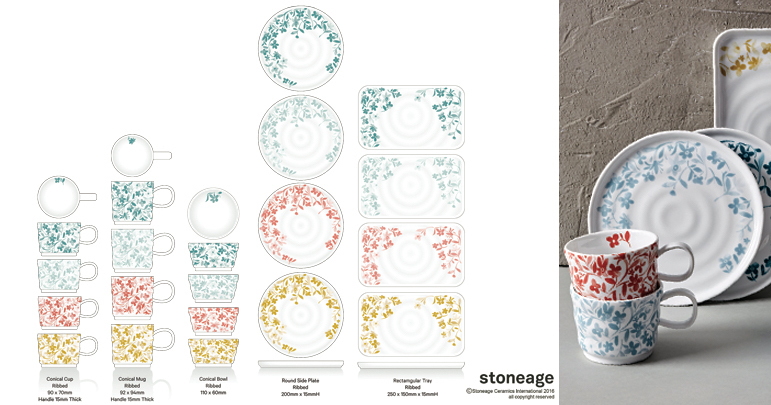 In our last blog post we explained how the Stoneage Ceramics design team use story boards as a starting point in the creative process, while developing our new dinnerware and bakeware collections. 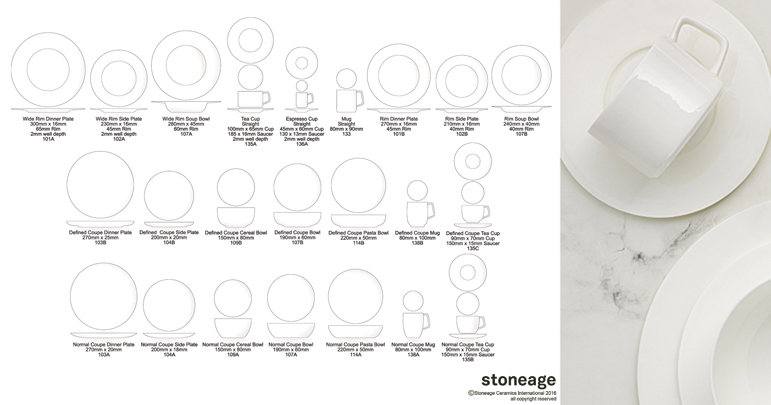 In this edition we take great pleasure in presenting some of our newest designer dinnerware ranges that took their inspiration from these story boards. A folky, feminine floral that is edgy and interesting in composition, colour and shape. A visual flow of freestyle blooms take the eye around the design, complimented by tactile ribbed body shapes. 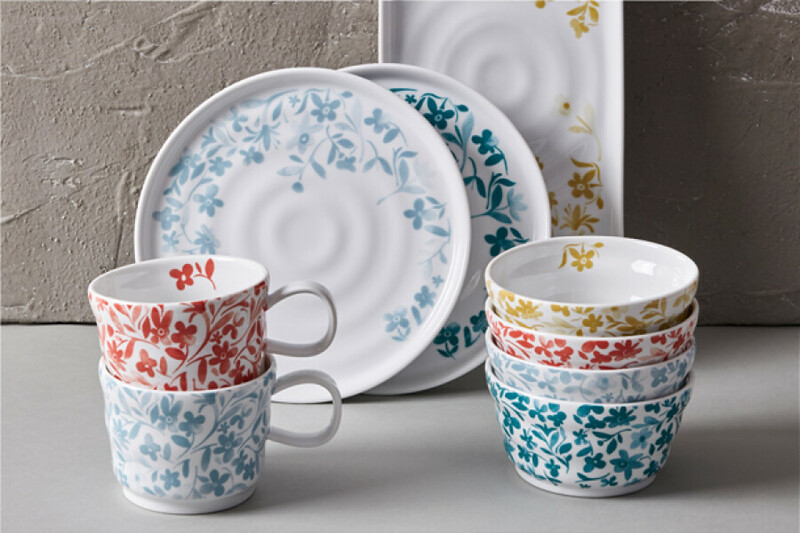 Mugs, bowls and plates in a simple palette of 4 trend colours can be mixed, matched and stacked for a delightful display. 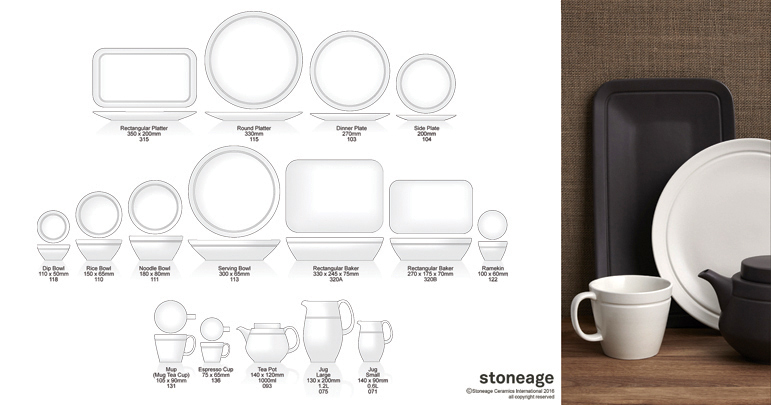 A comprehensive range of modern rimmed and coupe tableware in luxurious, creamy fine bone china. Featuring stunningly flat– extra wide rims, dramatically defined coupe profiles and unique handles, this collection was designed to frame beautiful food. Sovereign bone china has been developed to withstand use in a commercial hospitality environment and to look amazing in the home kitchen. Monogram mugs are fun, gift-able items and have been a great seller for our customers in recent years. As this trend remains strong our designers decided to give the concept a floral make-over. 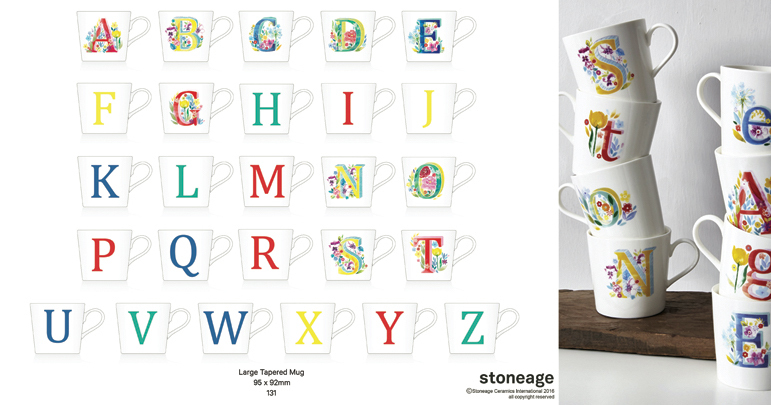 The end-product is a joyfully bright and beautiful range of alphabet mugs, decorated with pretty spring florals against crisp white porcelain. Our floral monogram mugs make a stunning in-store display and the perfect gift! Practical, durable and masculine, Neoteric is our latest stoneware dinnerware and oven-to-table range. Solid colour satin glaze finish and a simple debossed band add understated textural elements to these classic coupe shapes that set this range apart from others on the market. 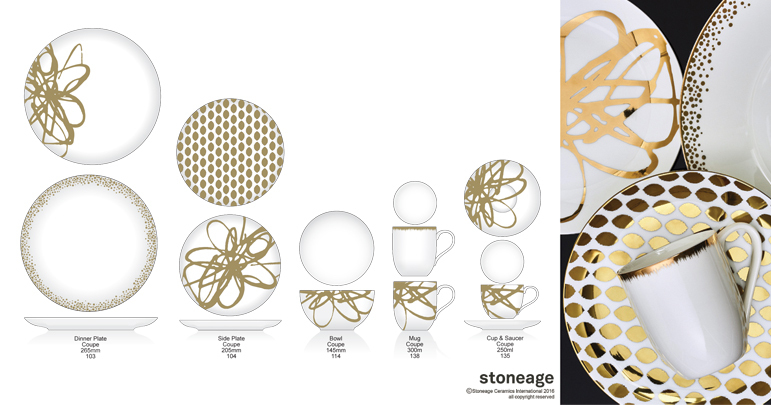 Dazzling gold designs adorn classic porcelain coupe shapes, artistic, expressive line is set against contemporary geometric pattern in a playful twist on formal dining. Oro is special occasion tableware for the young at heart, for those occasions when too much gold is simply never enough.